Energy Psychology has the power to revolutionize healing. Nowhere is that more evident that in the field of trauma recovery. 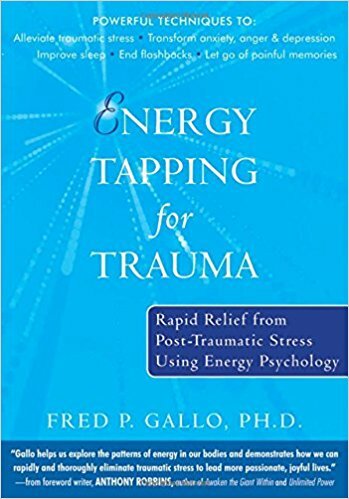 In the book Energy Tapping for Trauma, as he has with all of his books, Dr. Gallo has included enough technical data and research to satisfy the skeptic, sufficient case summaries to encourage the hesitant, and step-by-step exercises for those who are ready for relief. The various Energy Psychology techniques presented in this volume will be useful for traumas big and small. had a bad day? Try the Simple Trauma Technique. Are you the victim of natural disaster or war? Consider the Trauma Removal Technique. There really is something here for everyone and every situation. I’ve been using some of these techniques for years and I am a living testament to their benefit. Now I am excited to expand my practice with these other techniques. Dr. Gallo’s work in this field has made relief as close at hand as our fingertips. Get busy and start healing your trauma now.